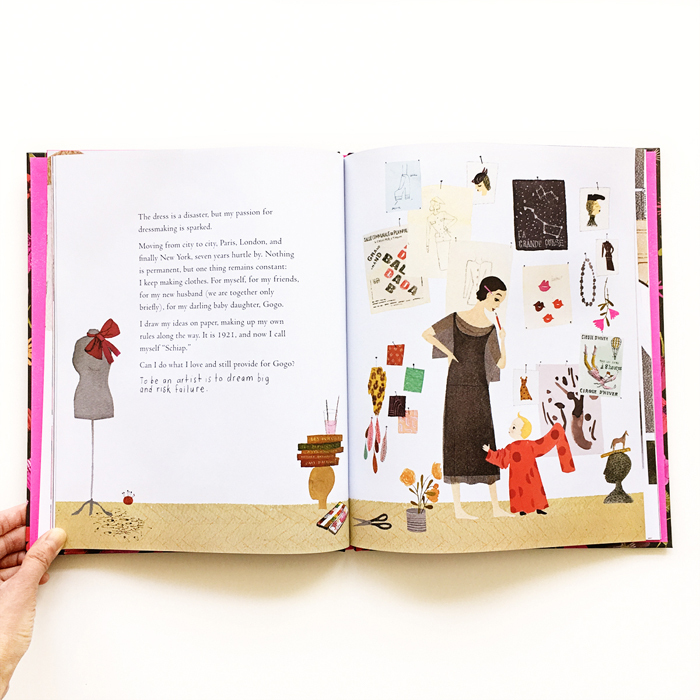 A biography of Italian designer Elsa Schiaparelli by one of our favorite author/illustrator teams. As a child, from the very start, Elsa is expected to conform to conventional, canonical ideals of beauty. But as she gets older, her views of beauty become more expansive and she realizes that “ideas are everywhere.” She finds inspiration in her environment and everything around her. Her vision as an artist grows from there. Her love for fashion design is sparked at the age of twenty-two on a brief trip to Paris. Kyo Maclear’s beautiful words and Julie Morstad’s gorgeous art tell the story of this forward-thinking artist. Julie Morstad’s palette is all at once dreamy, modern and unexpected. Kyo’s narrative is smart, sharp and above all, breathes life and inspiration into its readers, young and old. Don’t miss this one! 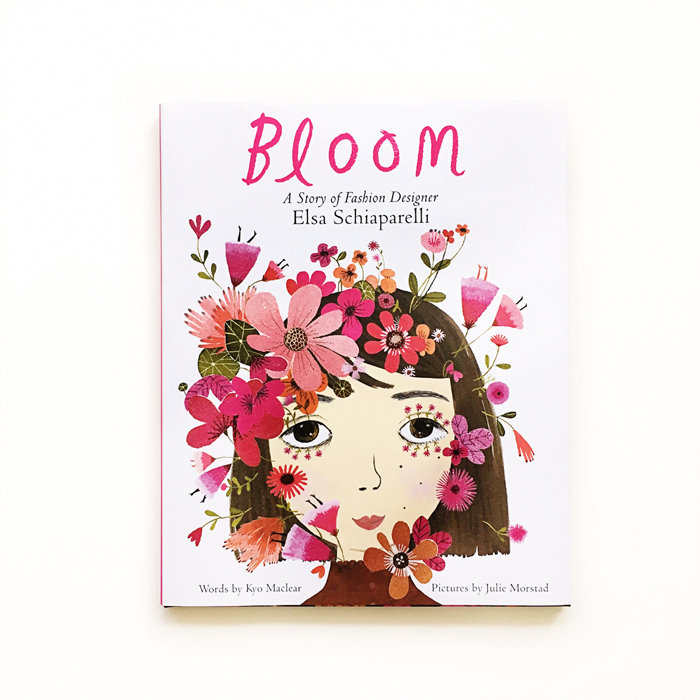 Bloom: A Story of Fashion Designer Elsa Schiaparelli was written by Kyo Maclear, illustrated by Julie Morstad and published by HarperCollins in the US and Tundra Books in Canada. Out very soon on February 6.